Question: I was wondering if I can switch a fifty amp double breaker into two twenty amp breakers? I am looking to add the two new lines to refrigators. The fifty amp was from a range but we swicted to gas, the line is no longer in place but the breaker is still there. 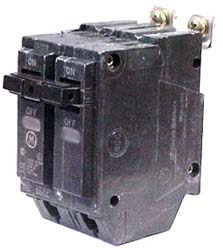 You can get rid of that 50 amp double pole breaker and replace it with 2 20 amp single pole breakers for two new circuits.